David Cervenka (The Chick Flick) and Ronnie Romero (Updog) have teamed up to create a truly unique collective based on years of filming and editing wakeboarding and other action sports. Includes Shaun Murray, Keith Lyman, JD Webb, Aaron Rathy, Jeff Weatherall, Kyle Alberts, Dean Smith and Keith Lidberg. In the words of the filmmakers: "Breaking the mold of the typical wakeboard video, our riders have been selected based on their style, character, work ethic, and desire to push the sport to the next level. We're taking 8 of the sports top riders from around the globe...and bringing them together in locations all around the world including New Zealand, Mexico, the Philippines and all over the US. 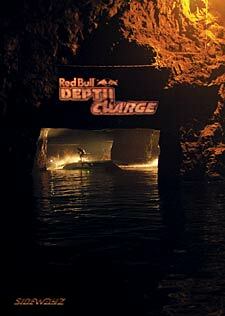 Ranging from behind the boat, to cable, to rails, the riding in this video will be as distinct as each rider's style. "